This manual covers the latest laboratory techniques, state-of-the-art instrumentation, laboratory safety, and quality assurance and quality control requirements. In addition to complete coverage of laboratory techniques, it also provides an introduction to the inorganic nonmetallic constituents in environmental samples, their chemistry, and their control by regulations and standards. 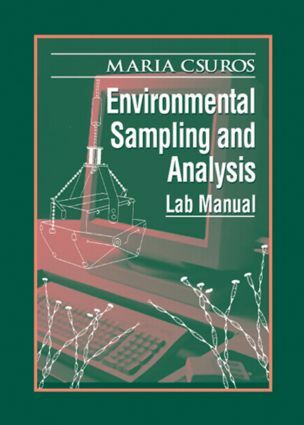 Environmental Sampling and Analysis Laboratory Manual is perfect for college and graduate students learning laboratory practices, as well as consultants and regulators who make evaluations and quality control decisions. Anyone performing laboratory procedures in an environmental lab will appreciate this unique and valuable text.